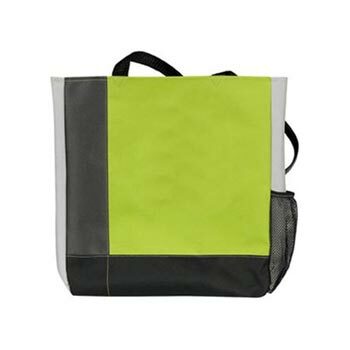 Tri Tone Tote Bag made from tough polyester. This tough shopping bag is available in a choice of vibrant colours and it's shoulder length straps make it an ideal shoulder bag for conferences and exhibitions. Features a mesh water bottle pocket and contrast stitch detail.